Amanda Sevall Designs: Card: Hello So Glad You Are Here! Happy Monday! I was in need of restocking my baby card stash... there have been a lot of them lately! So I thought it would be fun to put a ship in a bottle... or in this case, a jar! I thought it would be fun to die cut the jar out of the background cardstock and stamp the jar contents on the white cardstock I had underneath it -- I love how it turned out! A little piece of linen thread around the jar lid and it is ready to go to the next person I know who has a little boy! 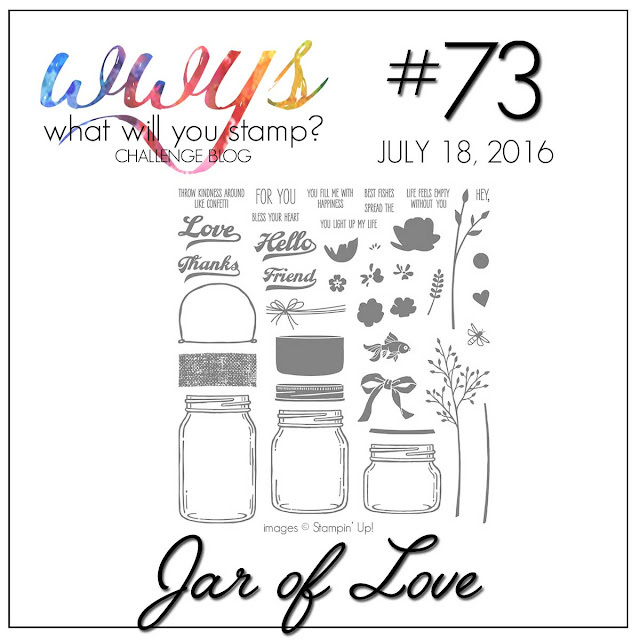 Make sure you go over and check out all the awesome ideas for this stamp set from the What Will You Stamp? Design Team! What do you think you'd put in a jar? !